Merton Council celebrated the hard work and efforts of volunteers who have helped make the Love Your Street campaign so successful since its launch in January. 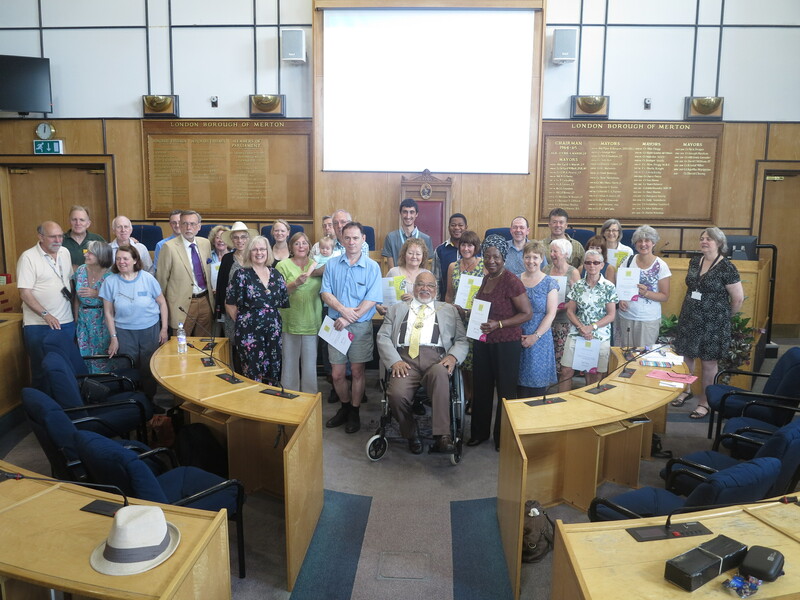 An awards ceremony was held in the council chamber this weekend, Saturday 11 July, with volunteers receiving a certificate from the Mayor of Merton, Councillor David Chung, as a thank you for their contribution during the campaign. Volunteers played a vital role in the scheme, organising and taking part in clean-up events as well as in promoting the initiative which increased the number of sign ups to the Love Your Street campaign. Officers from Merton Council personally thanked the volunteers. Speakers included the head of street scene and waste, Cormac Stokes, cabinet member for environmental cleanliness and parking, Councillor Judy Saunders, Mayor of Merton, Councillor David Chung and Sustainable Merton’s Tom Walsh. At the ceremony, Tom Walsh announced that the new community champion initiative will be part of the Love Your Street Campaign. Guests then enjoyed refreshments before speaking to staff and councillors about campaigns and future environmental initiatives. Cabinet member for environmental cleanliness and parking, Councillor Judy Saunders said: “The event was fantastic opportunity to thank all the volunteers and show them how their contribution had a positive impact on the streets of Merton. It’s great to see that so many people have a passion for the environment and are willing to give up their free time to get involved and make a change. Thank you all for your dedication to this campaign.